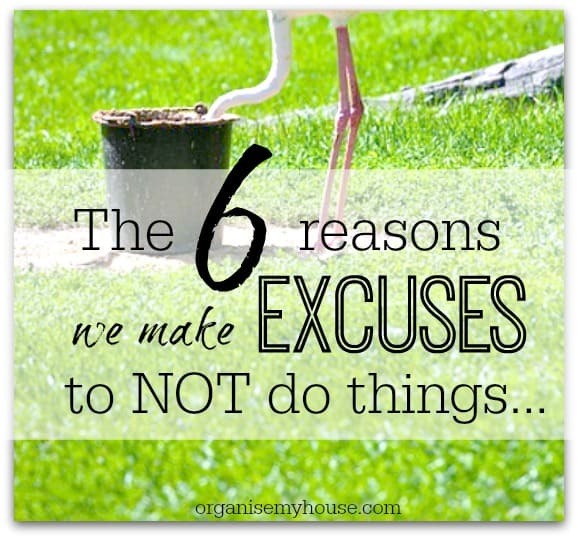 Busy making excuses NOT to get organised? We all have times where we don't want to do things, and end up procrastinating and making excuses NOT to do them. But it doesn't help in the long run. We feel bad that things are still not being done, and then they hang over us for days/weeks/months. They will make you understand how to overcome those excuses and get more done - and I hope they help. Let go of perfect and get more done! Are you a perfectionist? This post is all about trying to aim for perfect and how this can work against you in your life if you're not careful. As a "recovering perfectionist" myself this is something very close to my heart, so I hope that if this rings true for you, these words help you to get more … [Read more...] about Let go of perfect and get more done! Are you shaving your Yak, or just getting distracted? Thought that may get your attention! Have you ever heard of the phrase "shaving your yak"? I know I hadn't until a few years back, when I was introduced to the concept via Seth Godins blog post on the subject when at work. I have also recently come across it as a fantastic way to explain … [Read more...] about Are you shaving your Yak, or just getting distracted? Have I got your attention! Thought so.... I came across this theory from Brian Tracey a while ago and thought it was about time I shared it with you, as its so relevant to getting on with things, getting organised, and minimising procrastination - the bug bear of so many of us. Its a … [Read more...] about Have you eaten your frog today? What do I do if I don’t have the time to get organised? One of the most common problems people face when it comes to getting organised is their lack of time. We all lead busy lives, and have so much to do each and every day, it seems too daunting to add such a large task such as getting organised to the list as well. The easiest way to think about … [Read more...] about What do I do if I don’t have the time to get organised?